Corporate wellness programs have been a growing trend for several years — when your workers feel good (physically and mentally), they'll perform better. Aside from the obvious benefits (fewer sick days), happy, healthy workers have proven to be more productive and cost businesses less money. 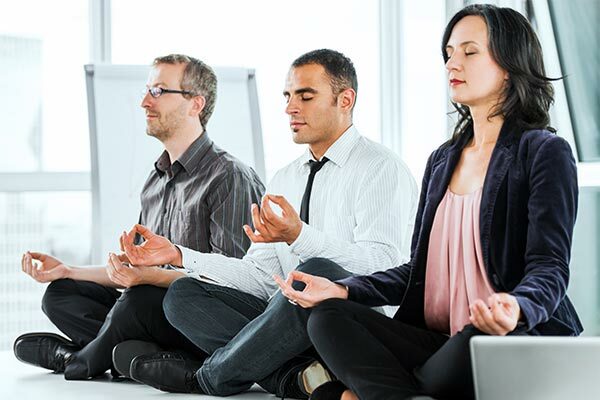 Try these tips for establishing a corporate wellness program in your own office. Start From the Top - If company leadership shows they’re on board, that attitude (and buy-in) will trickle down. Set a Budget - Larger companies will naturally have larger budgets. Set a realistic goal for how much you can spend per year or per initiative. Some ideas require no money at all. Engage Employees - Conduct an employee survey to see what they would like to have included as part of a wellness program. You might be surprised what you learn. Spread the Word - Outline the program and all that you’re offering, and communicate this regularly and in multiple ways. That can mean sending out a weekly newsletter highlighting success stories, posting signs in the hallways or even writing a blog that workers know to check. Hold a Fun Kick-off Event - Get people up to speed – and excited – about all the offerings. Make it Easily Accessible - Planning a weekly Weight Watchers meeting at the office or hosting a yoga class on site makes it easy on folks. It’s harder to find an excuse to skip a class that’s held right where you work. Genius Tip: Have an online sign up that makes registration for these classes as simple as possible. Healthy Recipe Exchange - Ask everyone to email in their favorite healthy recipe, then compile them in an easy PDF cookbook that you can send around to the entire team. Install Bike Racks - Encourage people to break a sweat on their way to and from work by installing bike racks for a two-wheel commute. Add Standing Desks - Not everyone will jump on board, but offer standing desks to those who need a change of pace and don’t want to sit all day long. Organize a Company Sports Team - There’s nothing like a good game of softball, kickball or even bowling to build camaraderie and burn a few calories. Encourage those who don’t want to participate to cheer on the team, especially if you make the finals! Fitness Challenges - Got a competitive crew? Start a Biggest Loser contest at the beginning of the year. Group employees into teams, so the pressure isn’t on one person. For a yearlong challenge, give employees FitBits or another step tracker and provide incentives for monthly goals. Celebrate - Honor the good stuff – promotions, new babies, a big client – it’s all good for morale and mental well-being. Sometimes that’s just as important as a physical boost. Celebrity Chef - Bring in a chef to teach employees ways to substitute healthier ingredients in popular recipes. Genius Tip: Have people sign up to bring specific ingredients for the demonstration. Company Field Day - Go old school and organize a fun day filled with events like tug of war and potato sack relays. You’ll have fun while you get your blood pumping. Genius Tip: Try these 50 field day games, ideas and activities. Wellness E-newsletter - Compile a list of fun and easy tips that employees can expect on a regular basis. Update the company on any particular employee wellness milestones. Flu Shot Clinic - Make it easy for those who want to get this annual shot by setting up a flu shot clinic on site. You can even partner with nearby companies to cut down costs. 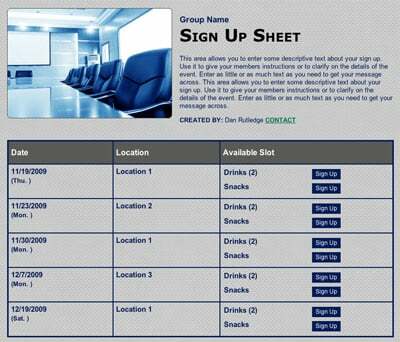 Genius Tip: Create a sign up so employees can sign up for times to get their shots. Health Insurance Discounts - Some companies offer workers discounts on health insurance premiums if they agree to a physical exam or complete a personal health assessment. Be warned: this can be controversial. 5K for a Cause - Pick a race that employees have a connection to – and run! Give prizes to the top fundraisers to up the ante. 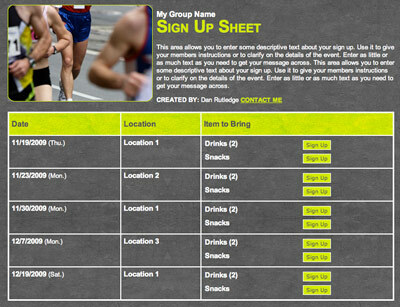 Genius Tip: Register racers with an online sign up. Healthy Office Pantry - Most offices stock up on coffee, but it’s just as easy to stock an office pantry full of healthy snacks. That doesn’t mean never giving out treats, but think about what food is fueling your workforce. On-site Fitness Classes - Bring in an instructor that you know will get your crew motivated. Yoga is great if you have limited space available. To mix it up, try something new together like a hip-hop dance or boot camp-style class. Gym Memberships - If your workplace doesn’t have a gym on site, you may choose to partner with a local fitness center to offer employees a discounted rate. Healthy Food Potluck - Celebrate a special occasion with a laid-back potluck — with a requirement of healthy foods. Genius Tip: Use an online sign up to coordinate potluck dishes. Make Water Easily Accessible - Stock up on small water bottles and keep them out in the open so workers are encouraged to grab one on the go. You can also install water coolers and gift employees with a water bottle branded with the company logo. Staying hydrated has numerous health benefits. Incentivize Taking Vacation Days - Americans are notorious for not using all their vacation time. Make it easy to request — and get — time off. One potential motivator: a limited number of vacation days that can roll over to the next year. Provide Wellness Assessments - Wellness assessments can help workers realize what they need to work on and what health problems to look out for. Coordinate with your insurer to see if they’ll make a doctor or nurse practitioner available that won’t cost employees out of pocket. Track Sick Days - There is the obvious: Are fewer people calling in sick? Are the company’s medical expenses down? But it’s also a good idea to track how many employees are taking advantage of the wellness programs. Survey Participants - Send out anonymous surveys and ask for genuine feedback. Take note: Are workers asking for more or different programs? What is morale like? Every business is different, and that means wellness programs should vary from company to company. Do what works for your staff. It may take a bit of trial and error to see what sticks. But studies show your people — and your company — will be better for it.